Is your top mechanism in need of repair or adjustment? Bring your car to us. 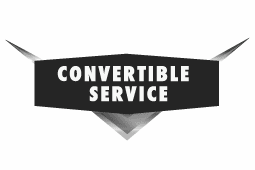 At Convertible Service, we're experts at convertible top repair. And since we stock a wide selection of convertible top parts and weatherstrip, we're prepared to service your convertible in a timely and professional manner. So if your top needs servicing, bring your car to the convertible experts at Convertible Service. Give us a call today. Please call us for an appointment at (626) 285-2255. We are specialists at solving difficult top repair problems! 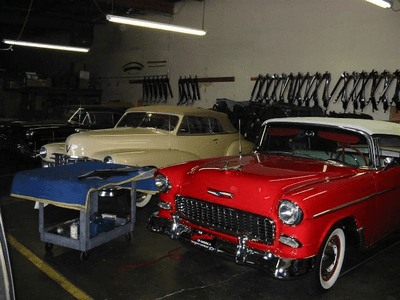 We service many late model American convertibles, as well as most older classic American convertibles, including the 1960's era Lincolns and Thunderbirds, and 1971-1976 GM "Scissor Top" convertibles.